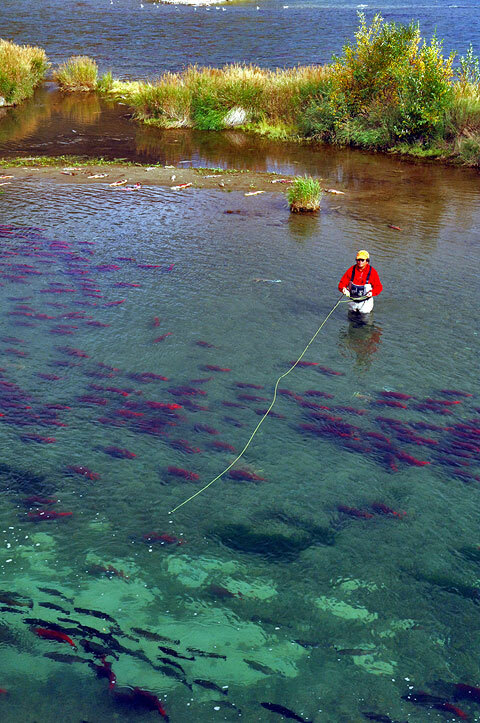 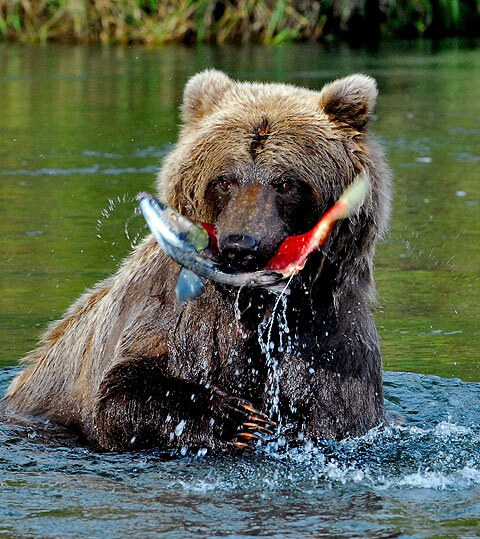 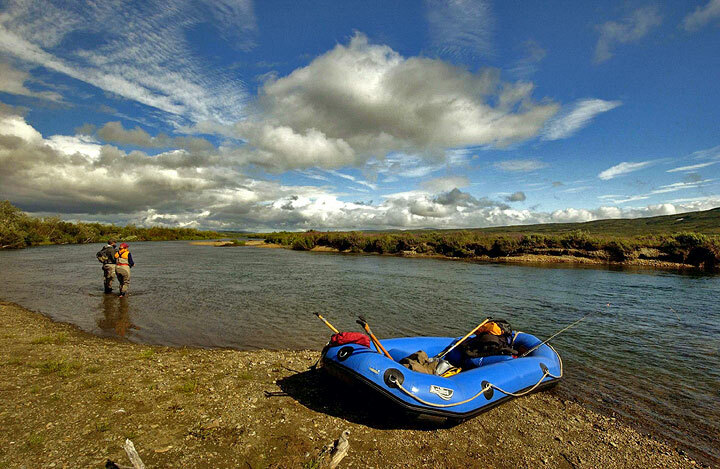 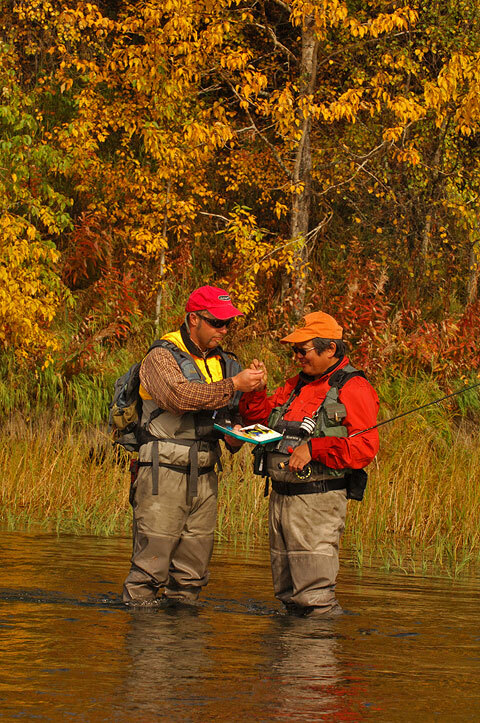 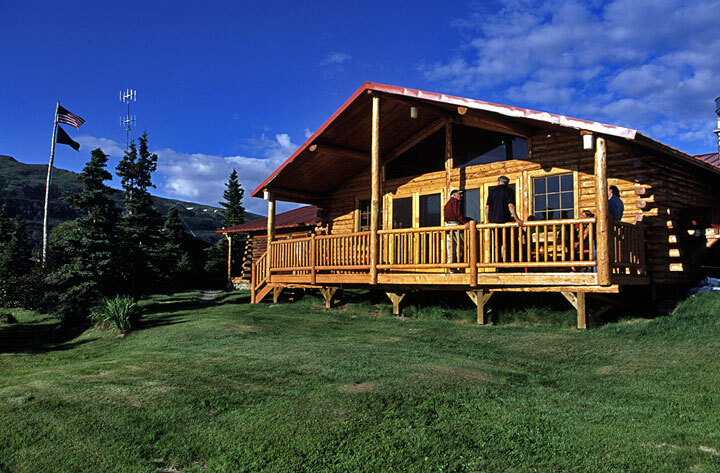 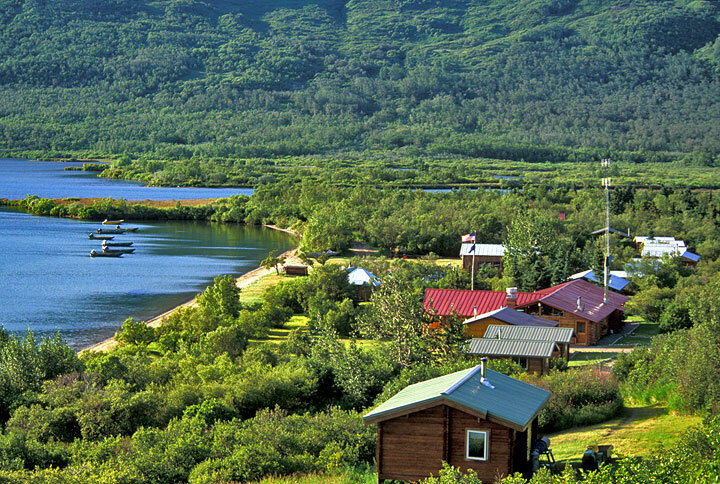 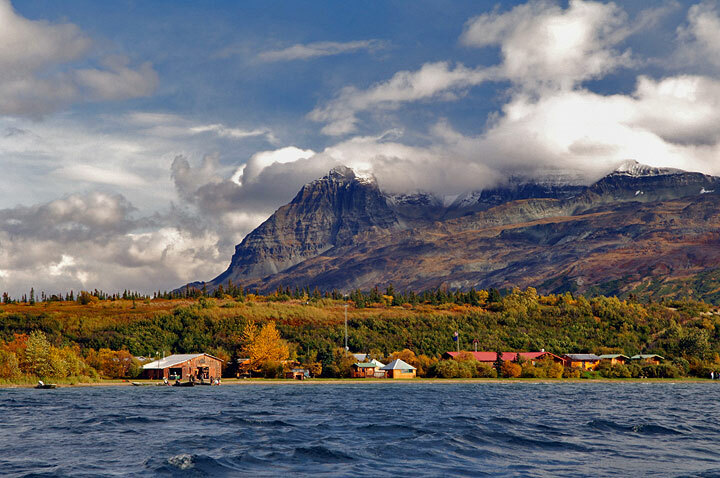 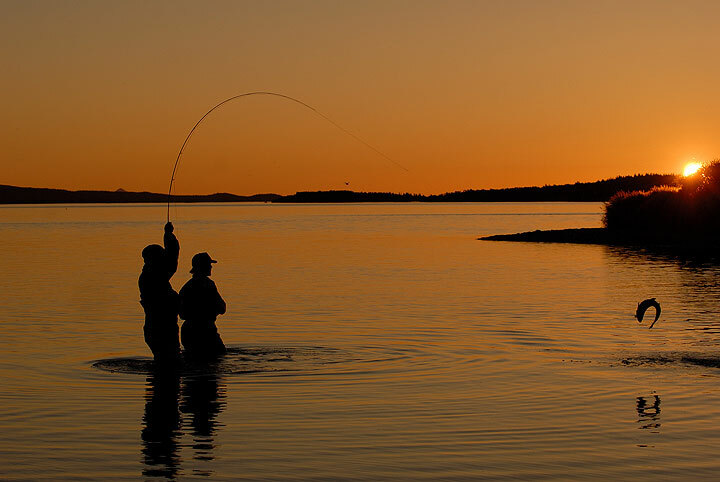 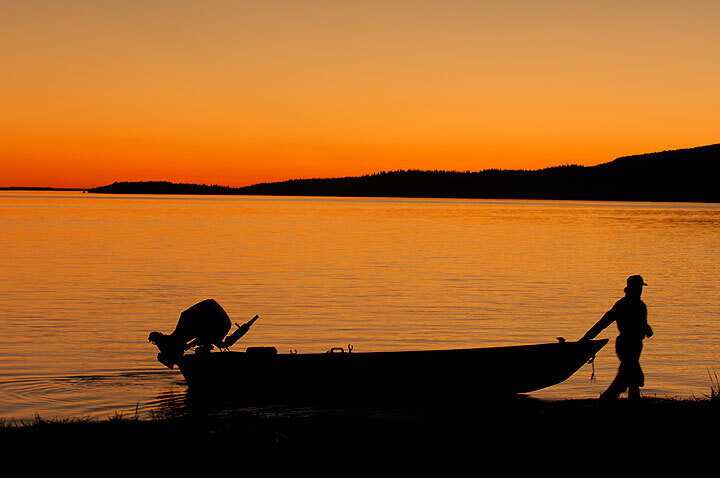 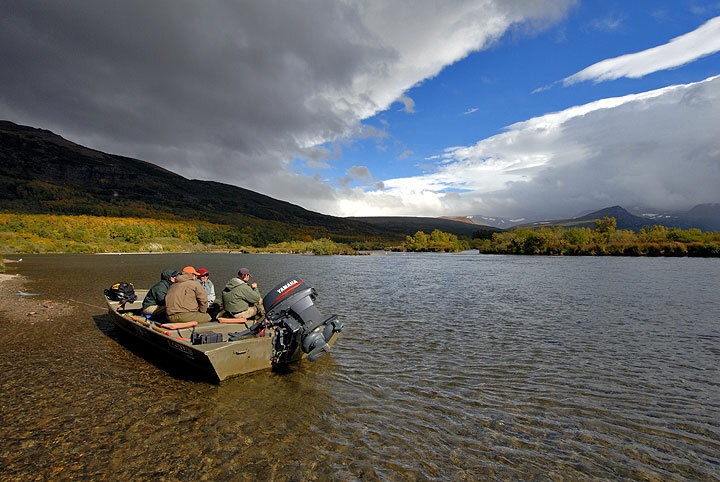 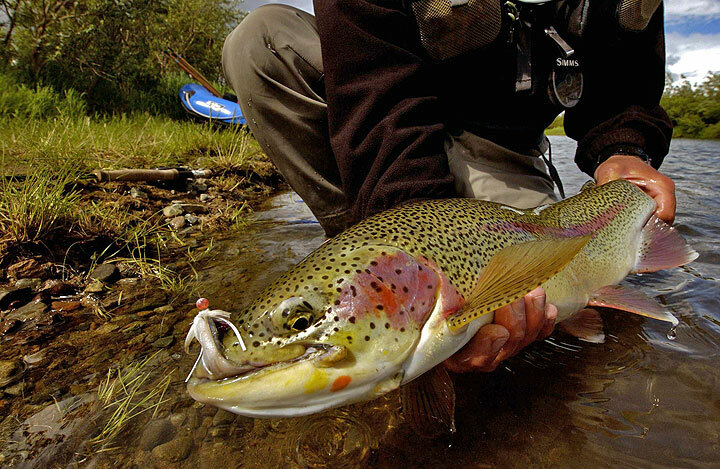 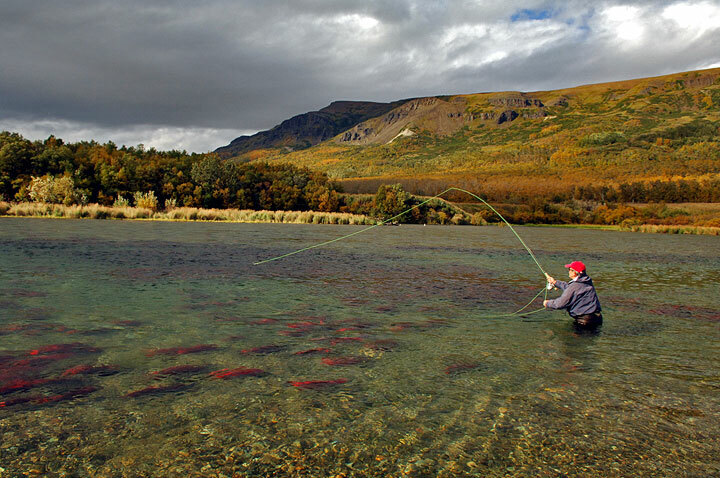 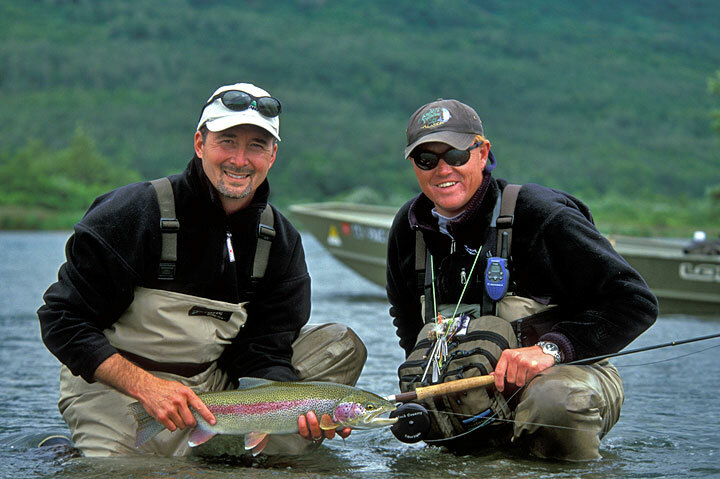 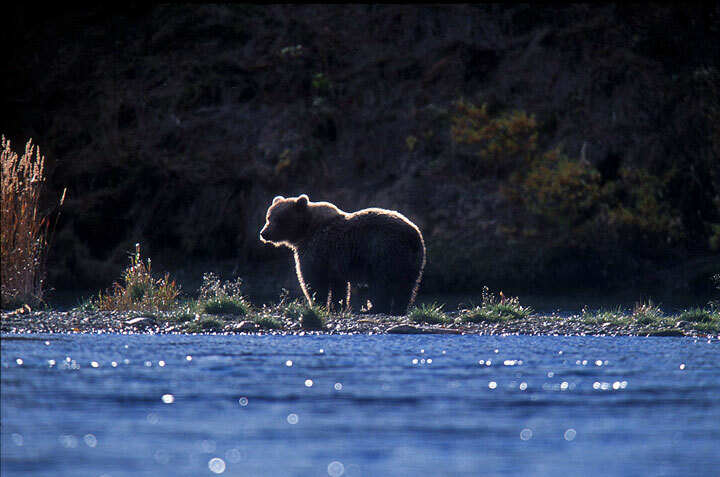 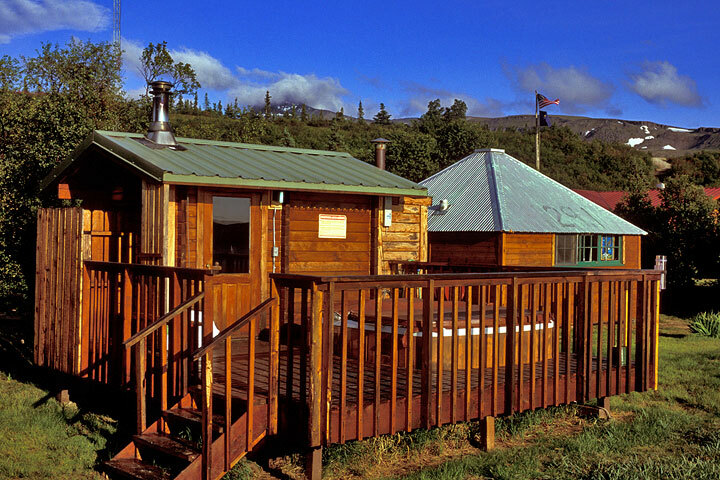 Besides the great fishing right near the lodge, fly outs during your stay will provide the means to fish other hot spots within a 100-mile radius of the lodge and allow you to take advantage of the variety of species of fish available in southwest Alaska. 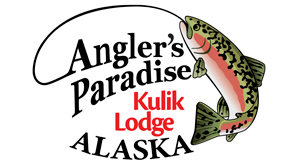 Kulik has riverboats cached at various productive rivers and streams; or you may take a one day float trip or hike in from your landing area to a hidden stream. 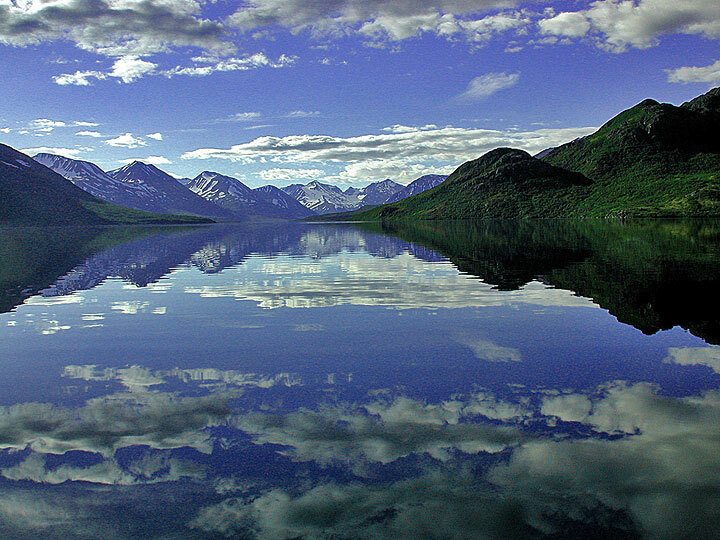 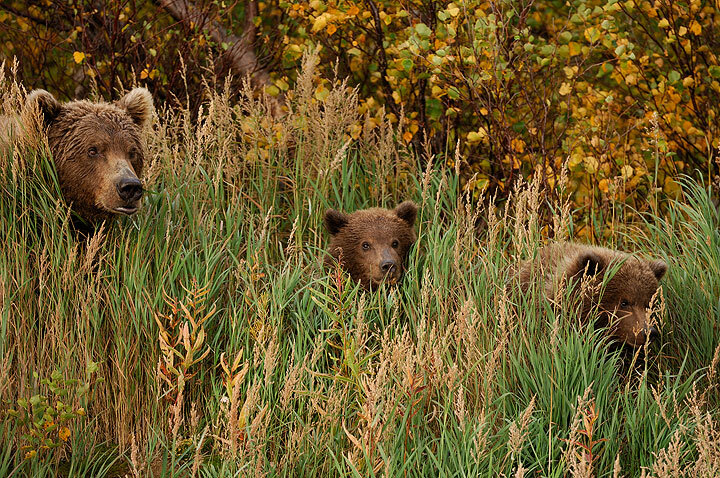 The opportunity to view the breathtaking scenery of southwest Alaska is always a bonus. 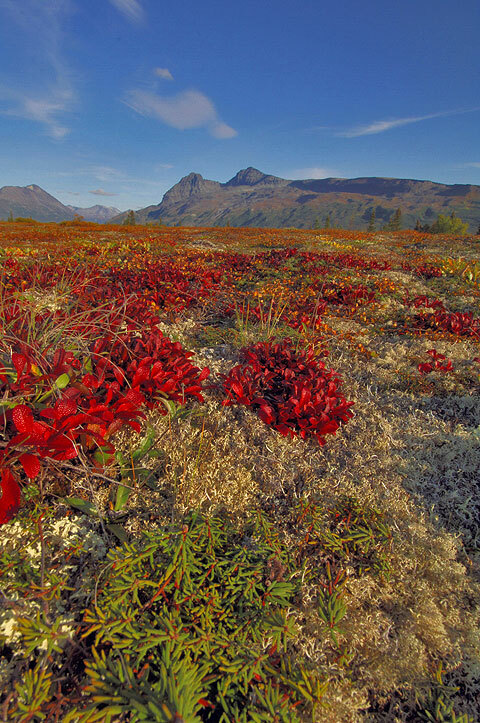 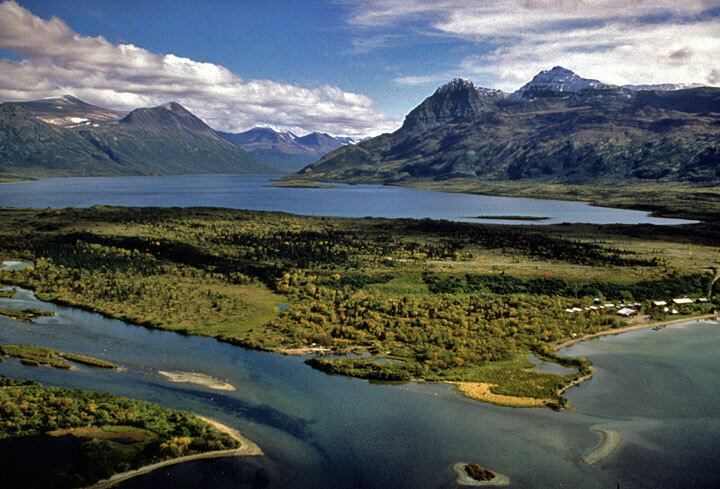 The Aleutian Range includes numerous active volcanoes, glaciers and the multicolored tundra. 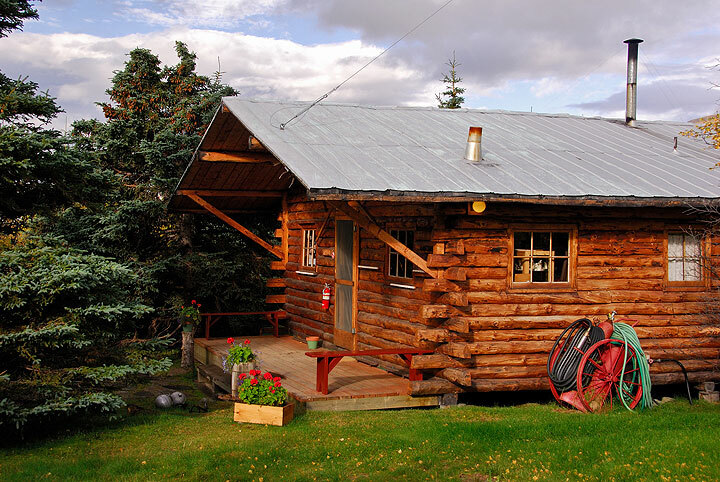 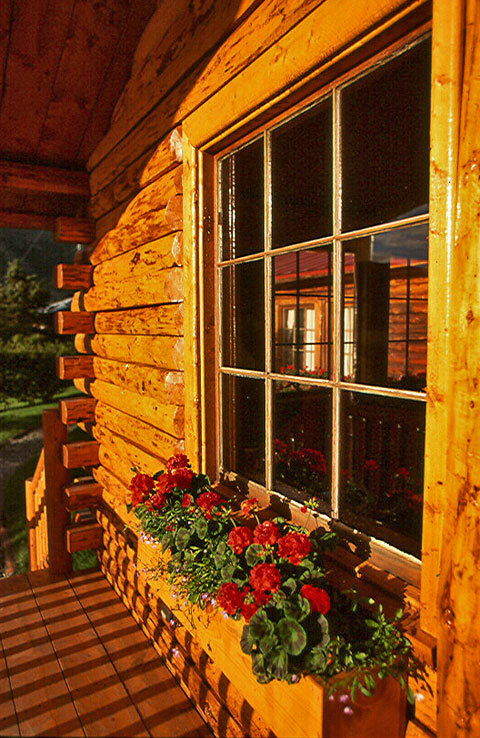 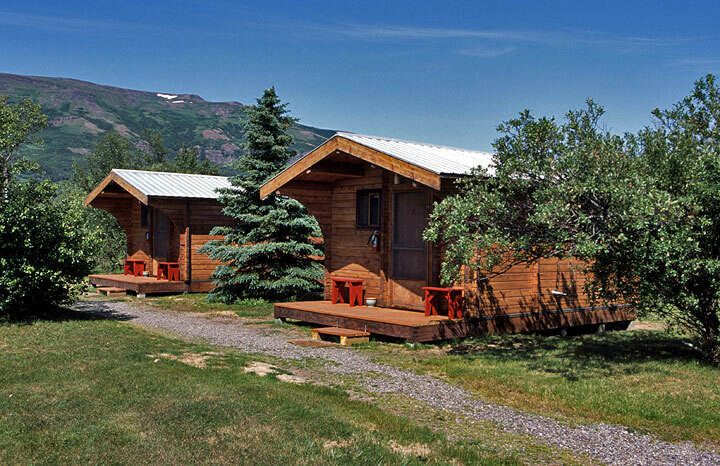 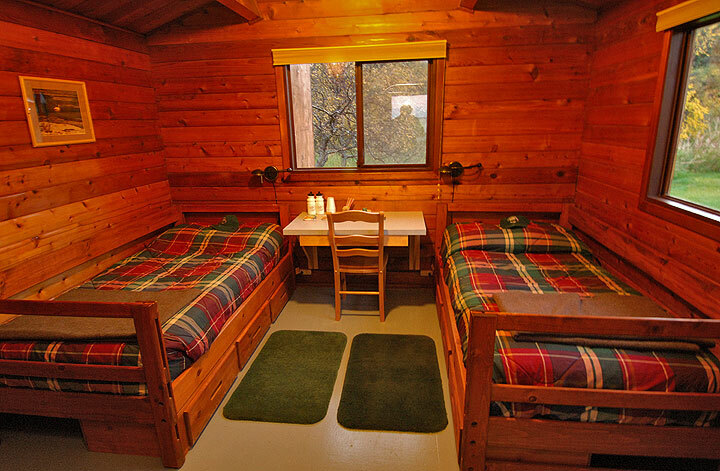 Kulik's comfortable guest cabins accommodate two people and are equipped with modern facilities. 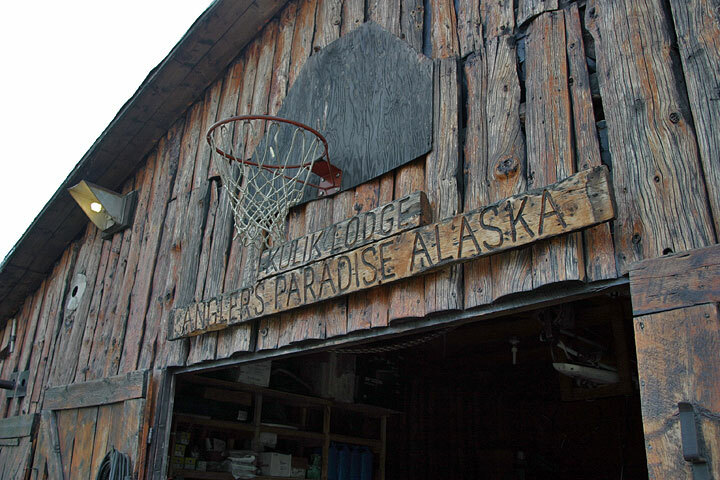 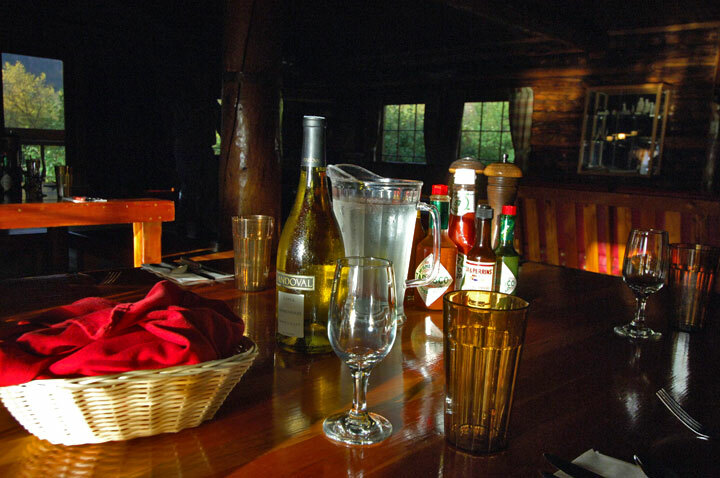 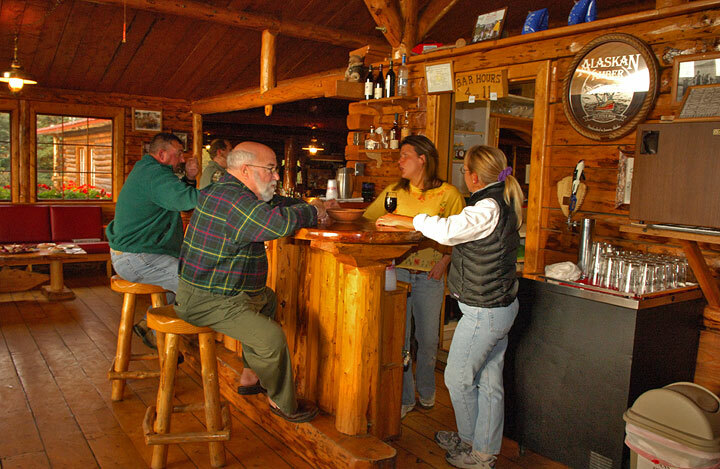 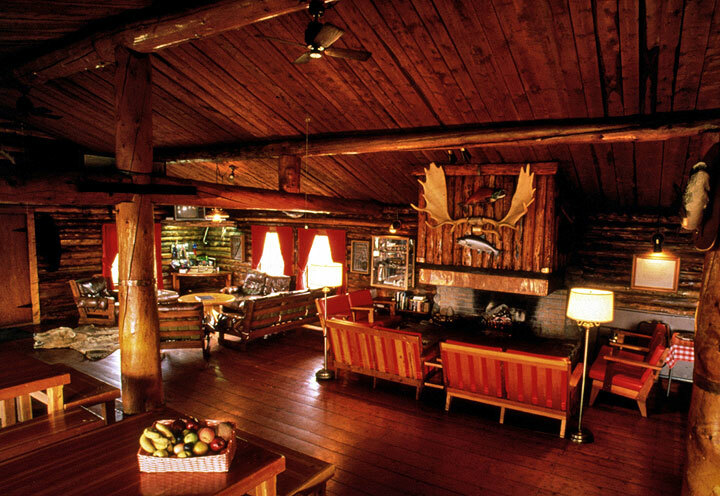 The native spruce lodge building boasts a large stone fireplace, dining area and bar where complimentary cocktails are served each evening. 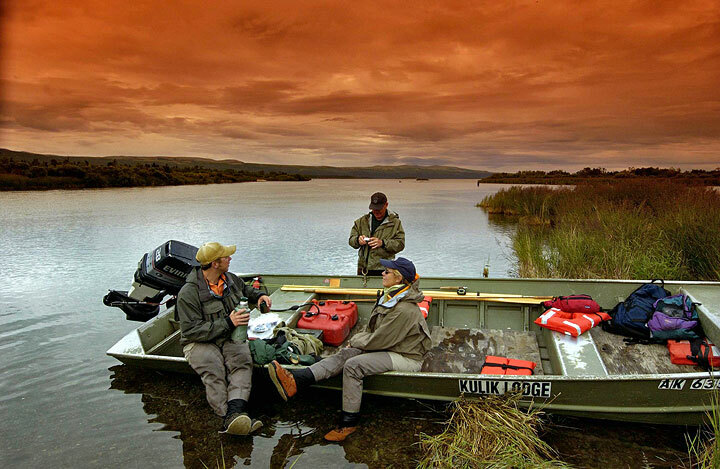 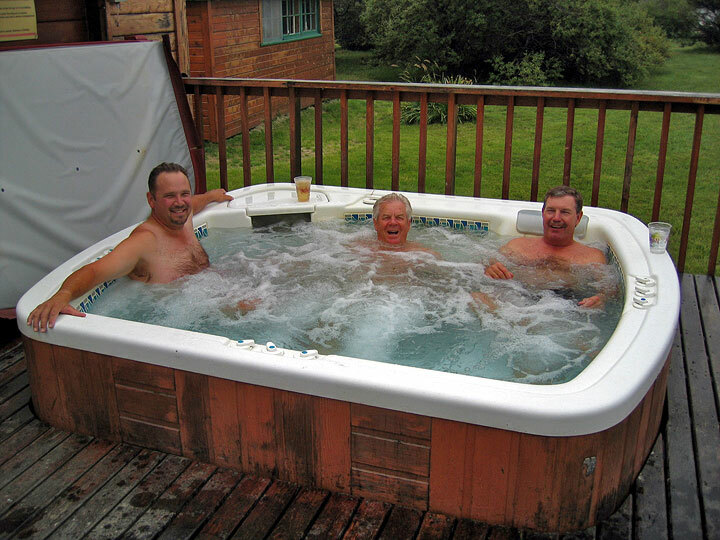 In the relaxed camaraderie of Kulik, away from the hustle and bustle of everyday life, new friendships are formed and old friendships reaffirmed.